I like to take a moment to introduce a new feature to my website. It's called "TWW Recommends". I'll be sharing with you the things that I love and would recommend. It's going to add a great dimension to what I have already been doing in terms of the book reviews that I post. So sit back, relax and let me recommend something for you to try. To kick things off, I want to share with you a heartfelt and very personal recommendation. 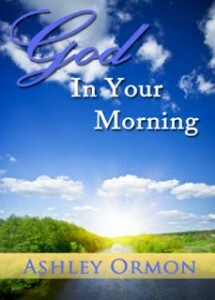 It is an online devotional entitled, God In Your Morning, by Ashley Ormon. 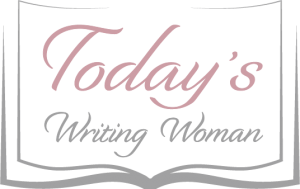 I had the pleasure of meeting Ashley through one of my online writer's group when she sent out a request for assistance with editing a project she was working on. I was not really sure what I was getting myself into, but I just listened to the inner voice I've become attuned to, and offered my help. After working with her a few weeks, it was clear that Ashley and I were destined to team up and finish this amazing project. I am very proud to have helped edit this uplifting and inspiring book that can be read each and every day to help get your day started simply by bringing God into your morning. We spend practically every waking minute on the run wondering how we can get through the day. We forget, however, that there is someone that can help us. Pick up a copy of God In Your Morning by Ashley Ormon and find out how He can help you do just that.